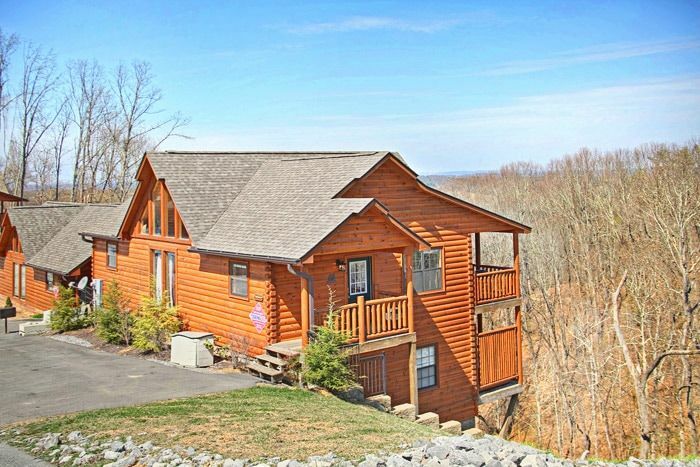 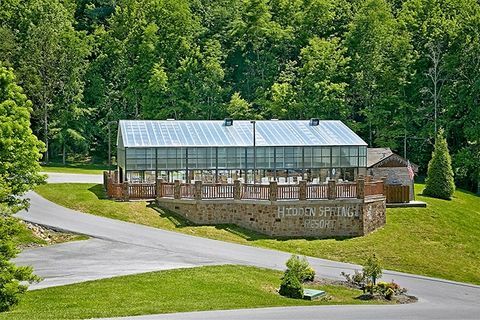 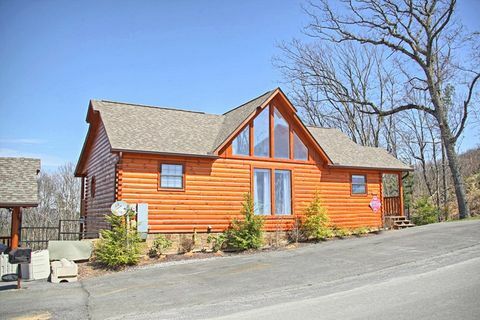 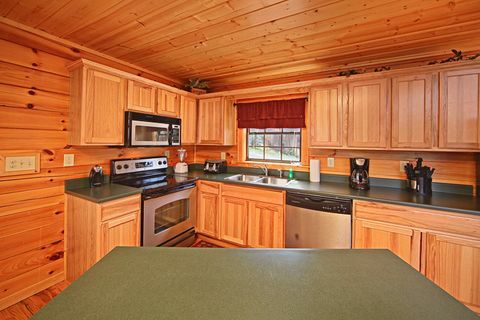 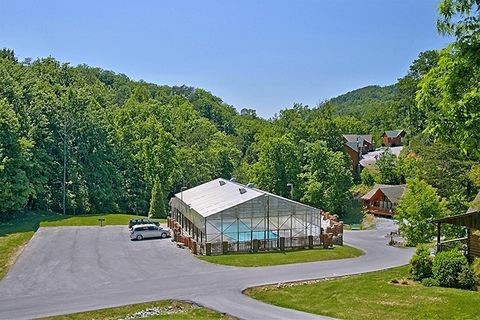 This Hidden Springs Resort Dollywood cabin rental affords guests a convenient location 5 minutes from the entrance to Dollywood Theme Park and Dolly's Splash Country Water Park in Pigeon Forge as well as the luxuries of a home away from home! 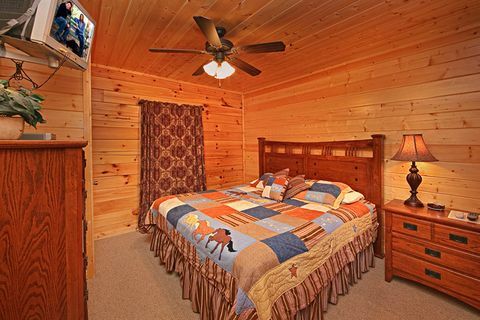 With such great features and access to your resort's indoor and outdoor pools, this cabin is sure to be the setting of a vacation to remember. 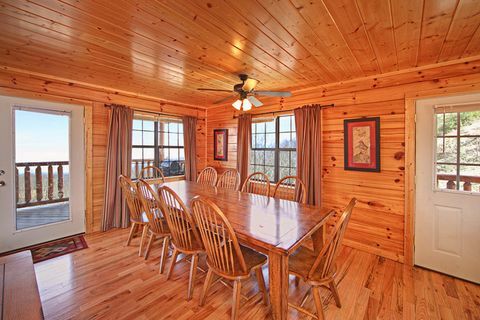 While there's plenty to do around your cabin, this spacious 4-bedroom cabin provides plenty of opportunity for entertainment itself. 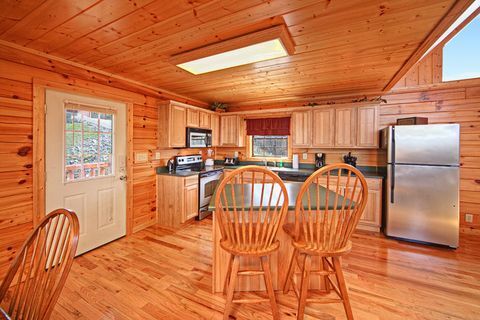 Dance around the cabin to your favorite tunes on the iPod/CD compatible jukebox! 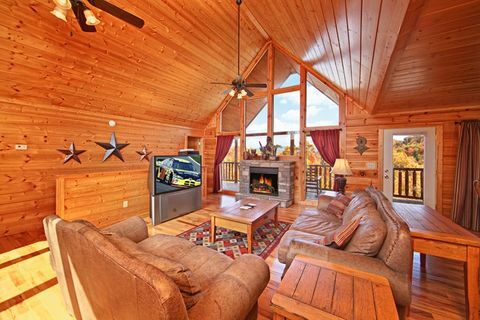 Stream movies and games on the free Wifi Internet! 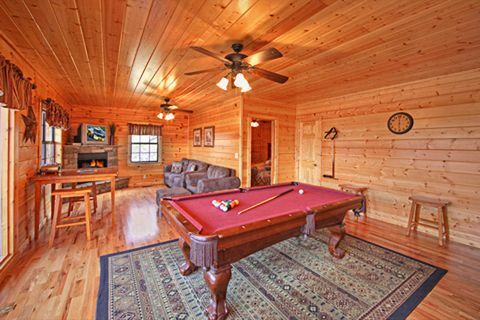 Compete with family members on the game room's pool table! 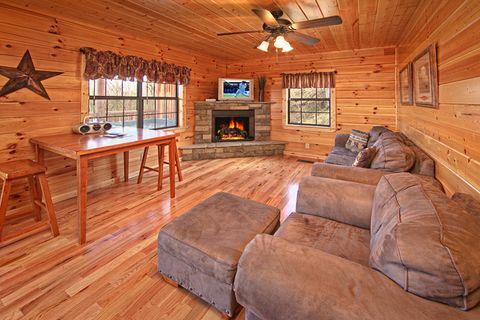 Catch the all the sports action on the satellite TV! 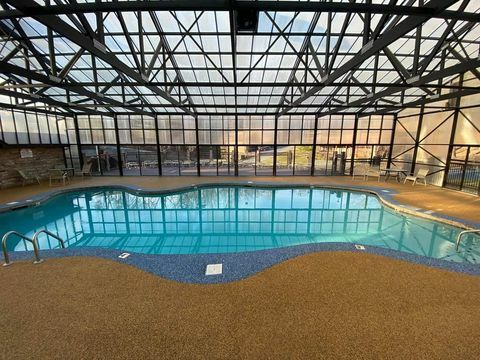 With so much to do, you'll need to relax at the end of the day. 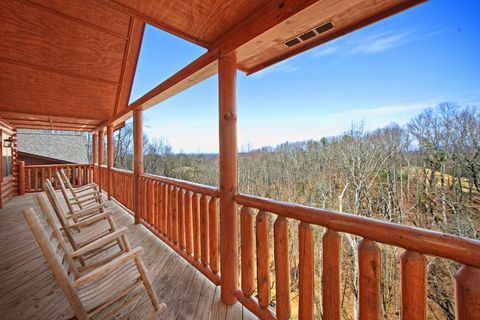 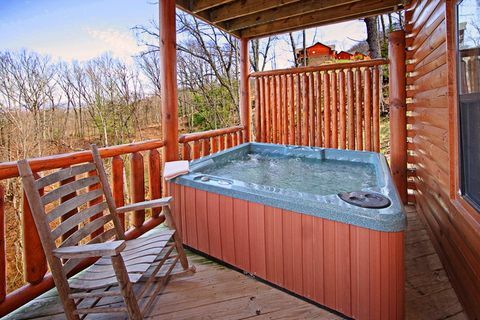 Enjoy scenic views of the Smoky Mountains area from your large hot tub or any of the several porch rockers on the covered deck. 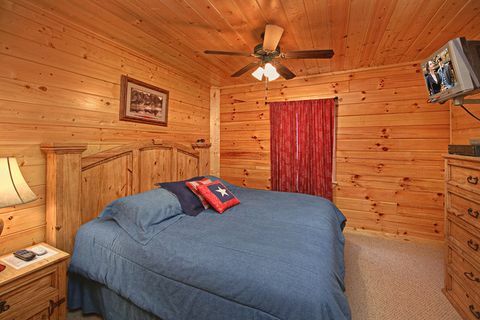 Enjoy a peaceful night's sleep in one of this cabin rental's 4 bedrooms. 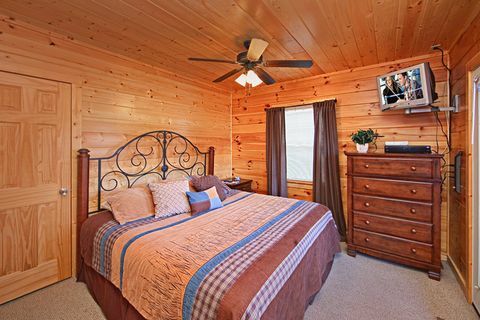 Each offers a comfortable king-size bed and television. 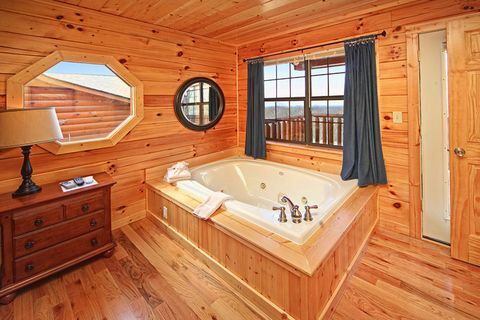 The master suite features a jacuzzi for two as well as separate access to the rear cabin porch, giving guests the perfect romantic ambiance. 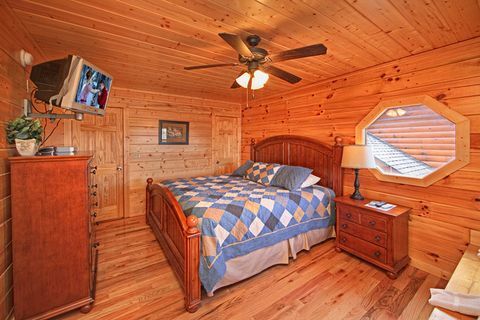 Additional sleeping space is provided by two sleeper sofas in this cabin that sleeps 12.